Back in October I signed up for Birchbox, which is a $10 monthly subscription service that sends you makeup and beauty samples. It’s a fun surprise every time I get one in the mail. I love it! 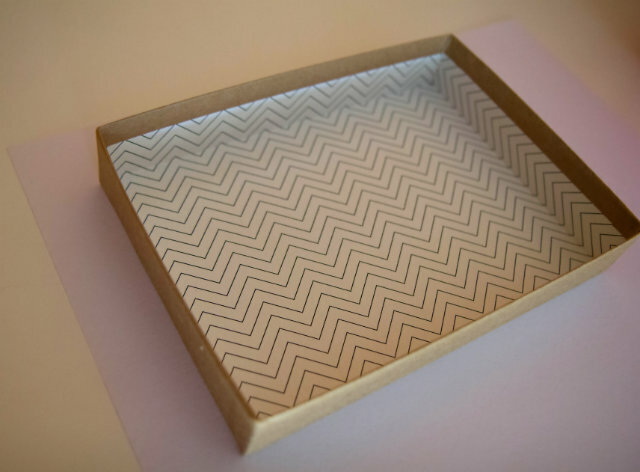 But this post isn’t about makeup samples…it’s about the cute boxes they send the products in! 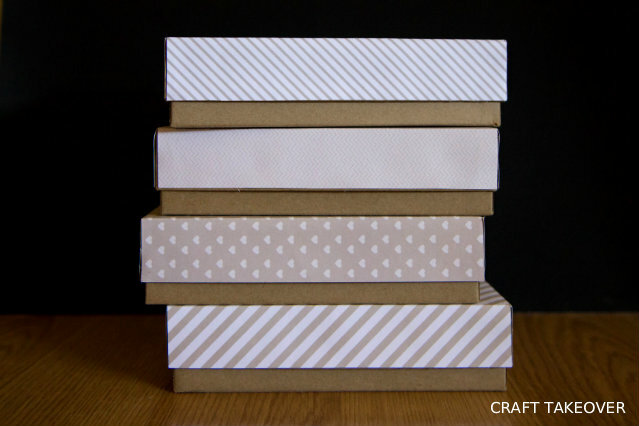 These boxes were starting to pile up, so I wanted to do something crafty with them. I picked out some decorative paper to cover the lids, and stacked them up for cute storage! 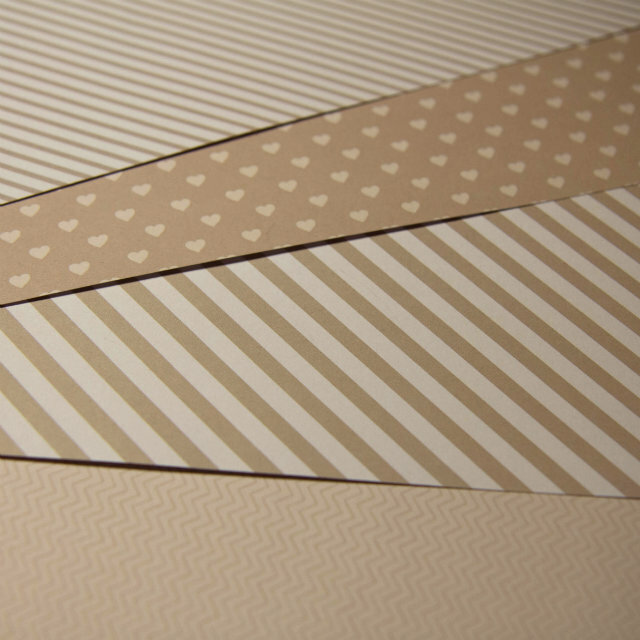 Booklets of scrapbook paper are perfect for projects like these, because there are similar themes and colors that already match perfectly. 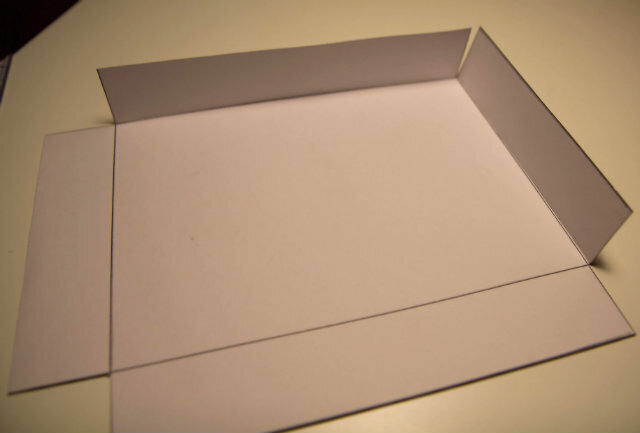 Here’s how to make a custom cover for your own empty Birchboxes! 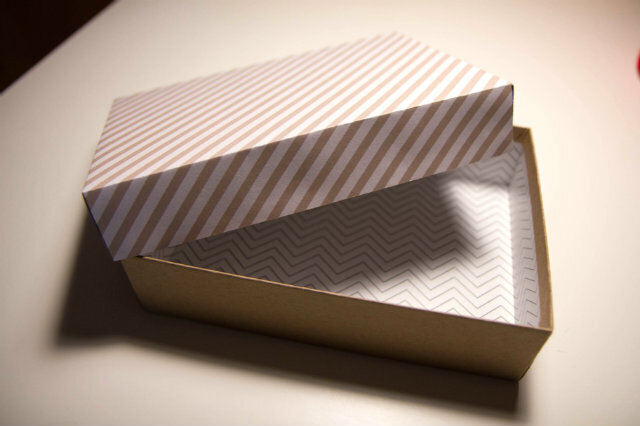 Of course, you could also do this project with any simple box with a lid. They sell similar ones at craft stores like Hobby Lobby or Michael’s. 2. 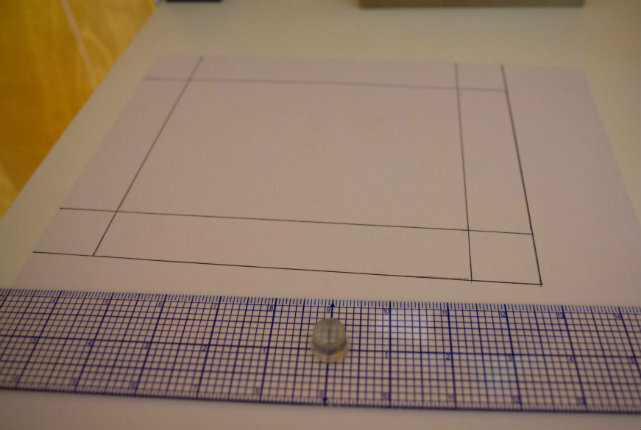 Trace the box with a pen or pencil, then use a ruler to measure the width of the sides, and mark lines on the paper as shown. 3. 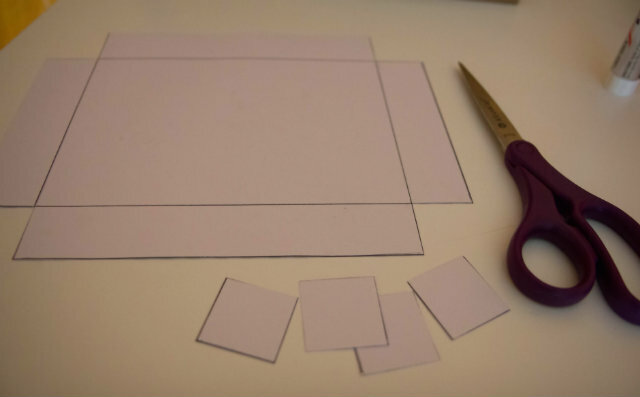 Cut the rectangle out, then cut out the corner squares. 4. Fold the sides along the marked lines. 5. 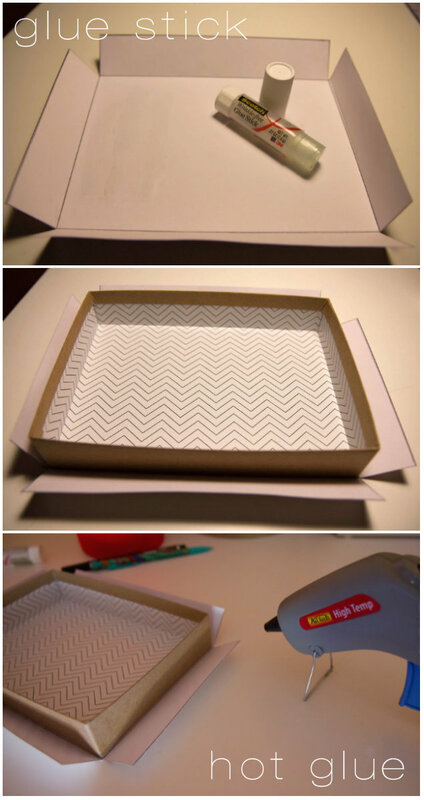 Use a glue stick to cover the center rectangle, and press onto the lid. Then, use a glue gun to attach the edges. The edges will stay put much better with hot glue. 7. Once all the sides are glued, you’re done! Have fun using the boxes for whatever you like! I have a couple being used for storage in my bathroom cabinet, and a couple on my desk to hold small sewing supplies. I love how they turned out! This is a really cute idea! 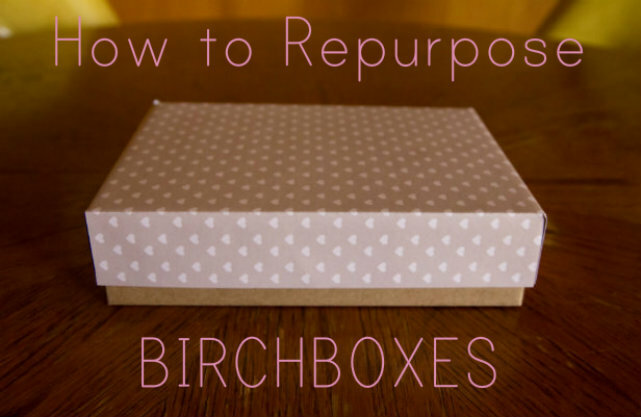 Wish I had saved all of my old Birch boxes! Thanks, KW! 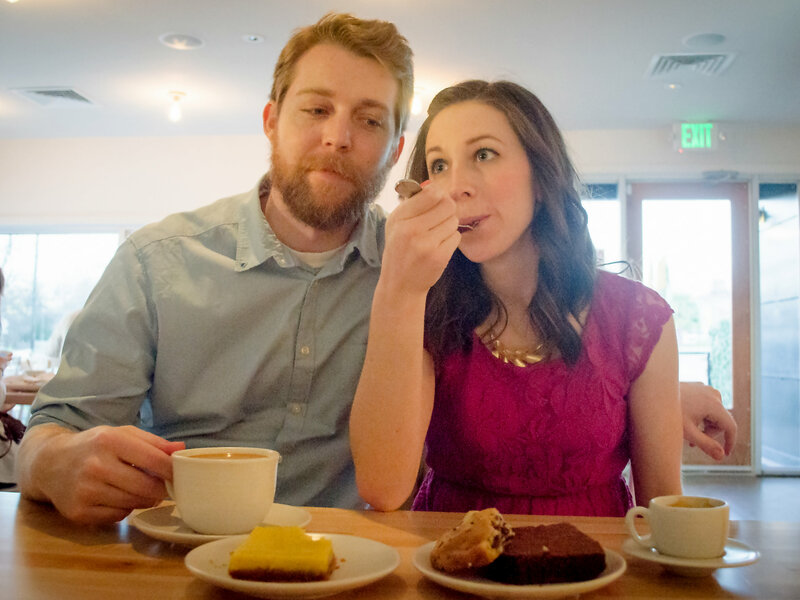 Your blog is awesome…I had no idea there were so many different subscription boxes. Fun stuff! 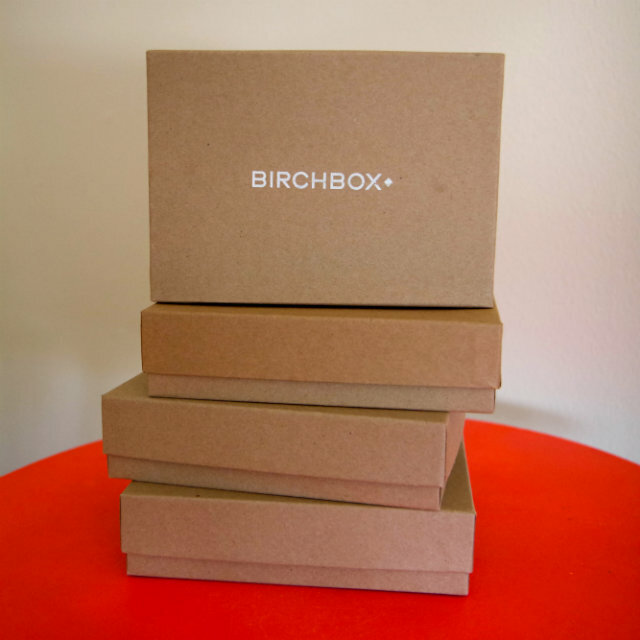 I use my birch boxes to sell lip balms from for my soap biz! Shore Soap!